Welcome to another JAX Starz Blog Hop! This month our challenge is to make something for the holidays! 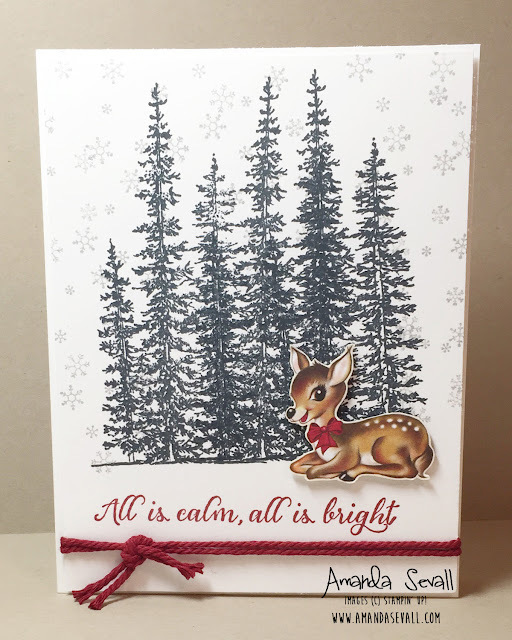 Since I have been eagerly awaiting the opportunity to bust out some Christmas stamps, I made a Christmas card to share today! A quick bow made using two pieces of Cherry Cobbler Thick Baker's Twine and this card was done in less than five minutes! Black, White + a little pop of color. Sometimes that is all you need to keep a card simple and quick to make! In this instance, I stuck with black, white and grey for my background, then layered on my handcut deer and used Cherry Cobbler for the rest! Simple Layers. 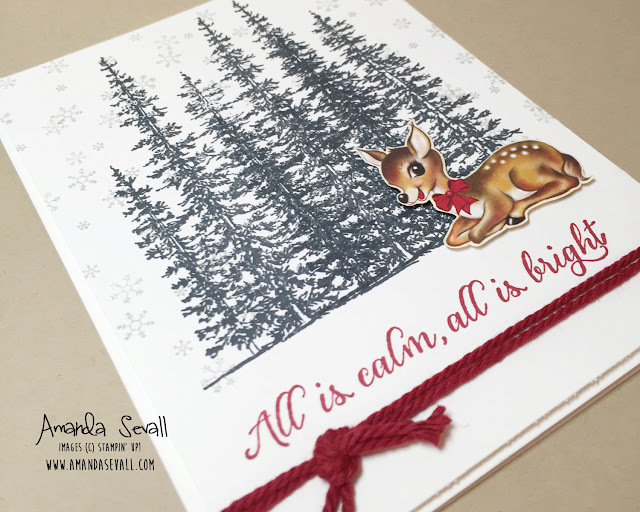 One of my favorite tricks is to layer on top of the card base rather than stamp directly on it -- it gives the card a little extra dimension and, if you make a mistake, you don't have to toss a whole card base! Fussy Cutting. That's how I got that cute little deer! It's the fancy crafting terminology for cutting out something by hand. There is actually a sheet of patterned paper filled with cute little deer just like this guy and I was dying to cut one out for a card! I always layer on top of a card base when stamping because it's an absolute guarantee I'll mess up!